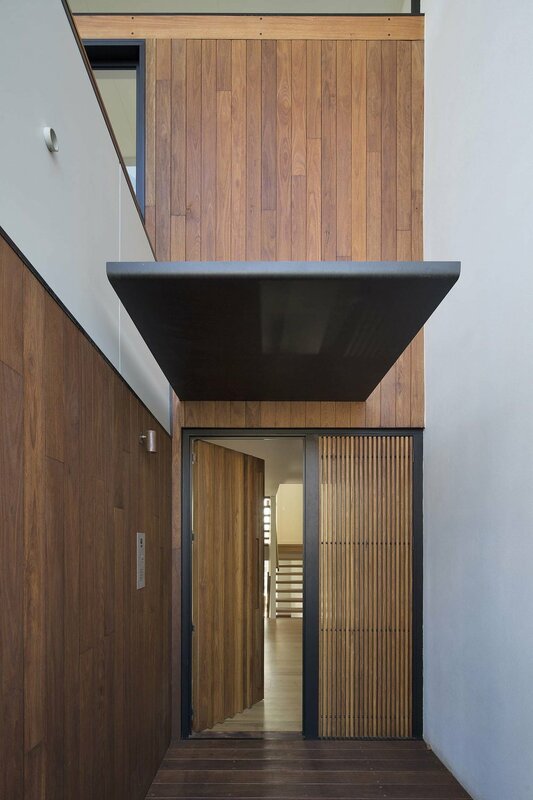 This town house is one of a pair, designed for clients to sell this one and live in the other. 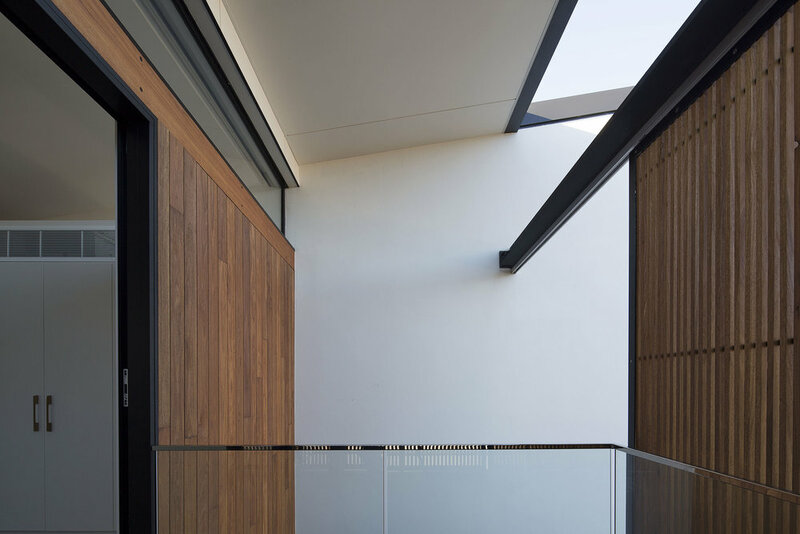 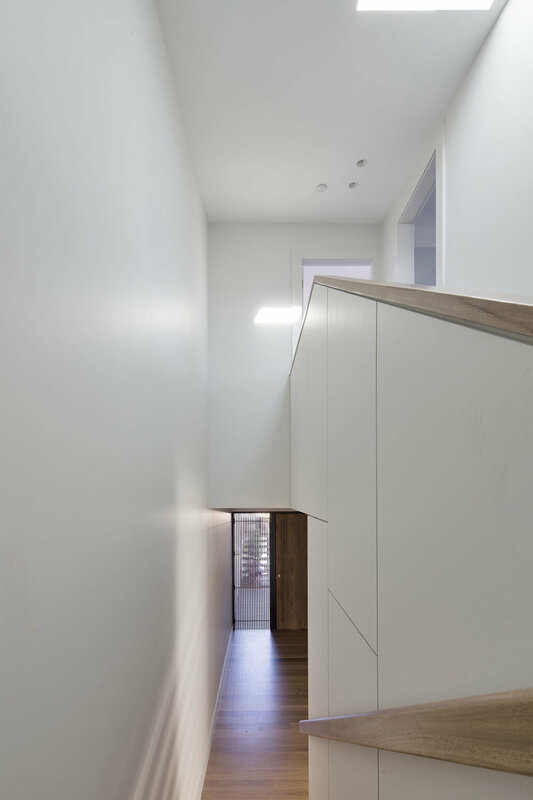 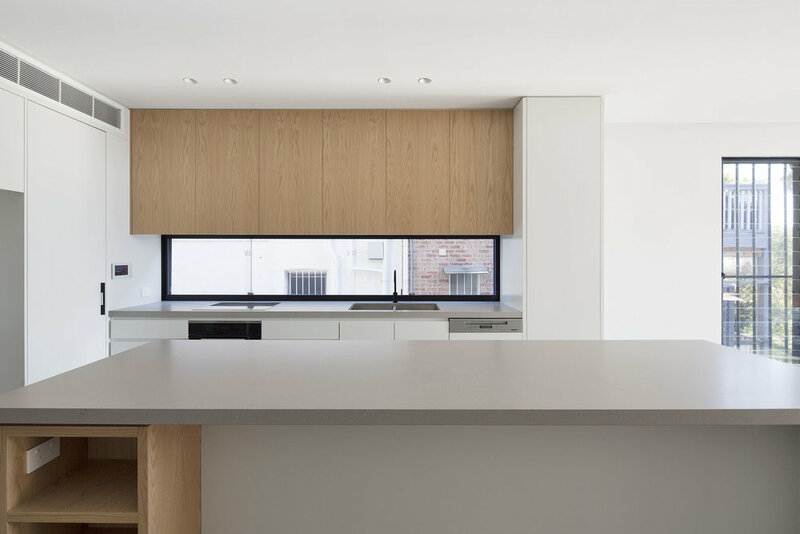 The house is set over three levels and designed as a flexible series of spaces that could potentially accommodate teenage children or guests on a private lower level. 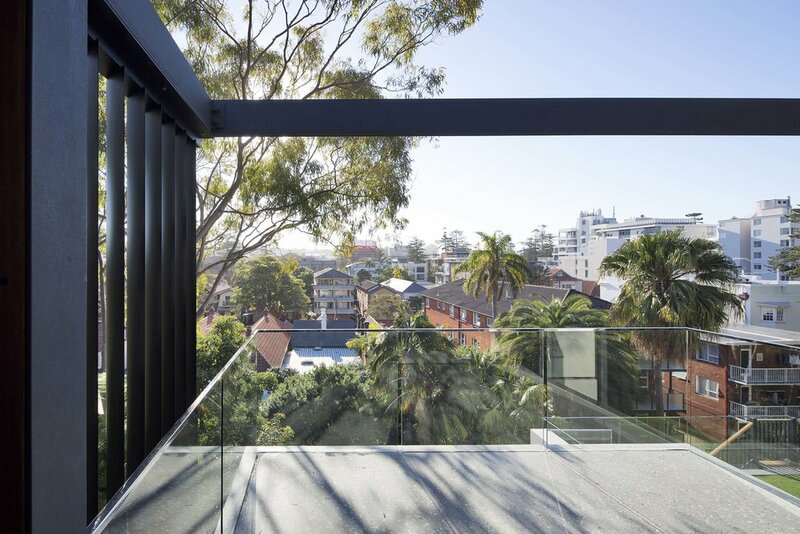 An open plan living area on the mid level connects to a balcony with views out over Manly. 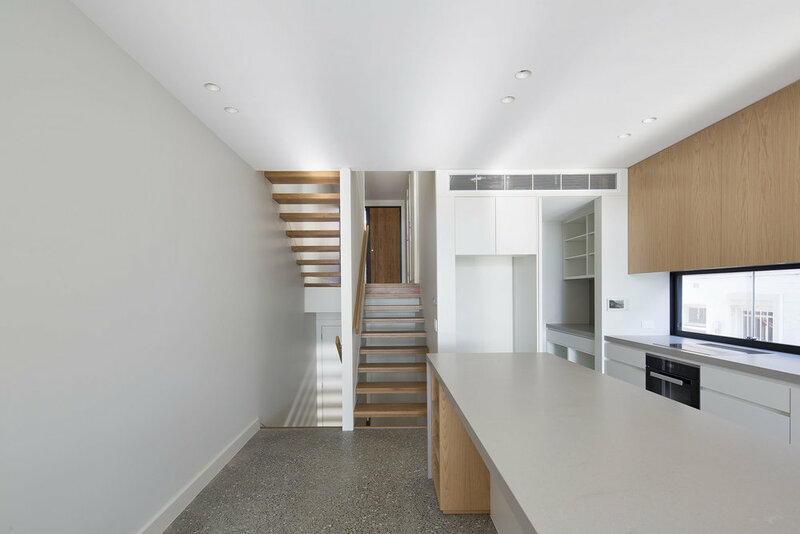 Polished concrete floors offer durability and warmth via hydronic heating. 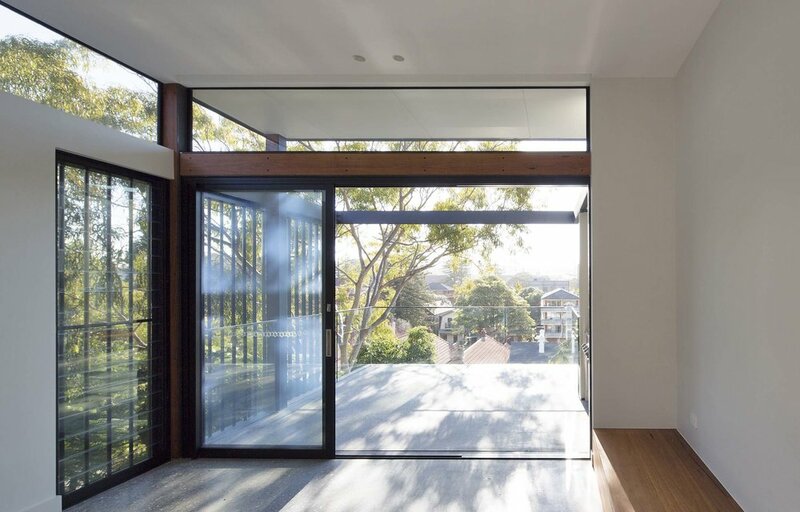 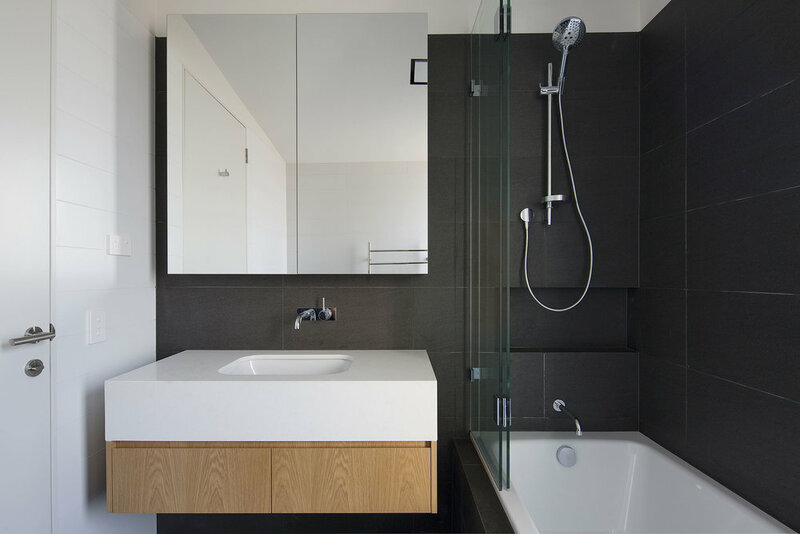 Considered window placement and design ensure maximum light into the home while ensuring privacy. 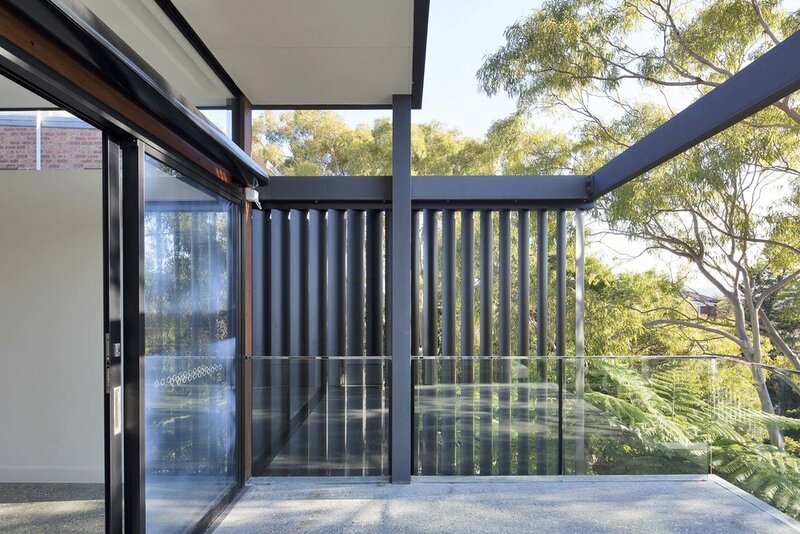 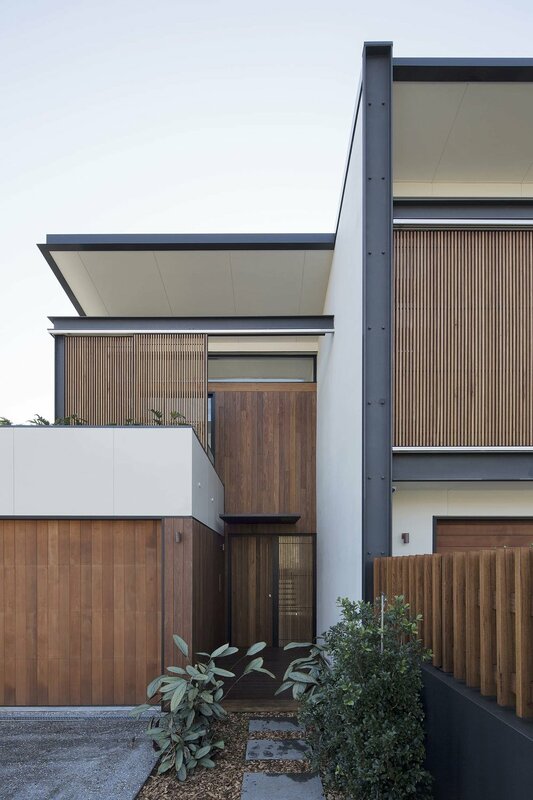 External screens offer further privacy and interest to the building facade.